To view a video in full screen mode, click play on the video you want to view then click the monitor button in the bottom right corner of the video. Presenters: John Gibson, Chairman Energy Technology, Tudor Pickering & Holt Co.
How will Geophysics contribute to the energy industry in the decades to come. Does the term seismic need to be redefined or replaced? Geophysics, MicroSeismic, Energy Technology, John Gibson, Tudor Pickering & Holt Co. The company’s vice president of geoscience explains how PetroEdge‘s focus is exploiting wells that may have been overlooked or underexploited at the 2019 Microseismic User Forum. MicroSeismic’s CEO likens stale technology to that of a shark which stops swimming. Why Peter Duncan says they must keep developing. Alison Small from Element Petroleum and Peter Duncan, President of MicroSeismic, Inc. present at the DUG Permian Conference & Expo. Peter Duncan, President of MicroSeismic, Inc, talks about his career in geology and geophysics to the HGS at the Jan 25, 2016, Legends Night. Preliminary Results from Wolfcamp Spacing Pilots & Microseismic in SW Martin Co. Preliminary Results from Wolfcamp Spacing Pilots and Microseismic in Southwestern Martin Co. This video highlights the technical innovation that MicroSeismic brings to the Bakken energy revolution. This video highlights the work we’re doing at MicroSeismic to promote hearing for young children! MicroSeimic, Inc. gives pediatric patients at Children’s Memorial Hermann Hospital the gift of hearing this new year. 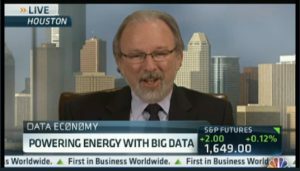 Peter Duncan, Founder and CEO of MicroSeismic, Inc., joined CNBC on May 30, 2013 to describe how microseismic monitoring is helping the energy industry use big data to reduce risk and build their bottom lines. MicroSeismic, Inc. (MicroSeismic) was named an Energy Industry Disruptor on the inaugural CNBC Disruptor 50 List on Friday, May 17, 2013, during Fast Money. Other companies on the Energy list include LightSail Energy, Nest Labs, Opower and Picarro. Presenter: Peter M. Duncan, Ph.D. Learn how microseismic monitoring can characterize the local geology and in situ stress state. Founder and CEO for MicroSeismic, Inc. discusses real time monitoring and safe practices for hydraulic fracturing at the Ohio Governor’s Conference in the fall of 2011. View Mike Mueller, VP of Technology Development for MicroSeismic, Inc. discuss the history of MicroSeismic, as well as key services. Watch Dr. Sherilyn Williams-Stroud explain the benefits of monitoring your hydraulic fracture operations.